Thomas’s mother was Mary Jane, nee Davies, born Hawarden, Cheshire in 1858. Thomas and Mary married in 1890 in the district of West Derby. Thomas had one brother, Walter Andrew born 1893, Southampton. In the 1891 census Thomas, with his parents, lived at 18 Premier Street, Everton, Lancashire. Thomas senior was employed as a Ship Stores and Provision Porter. By 1901 the family had moved to Southampton and lived at 43 Cedar Road, St. Mary’s Parish. Thomas senior was employed as a Ships Grocers Provision and Fireman. The family stayed in Southampton in 1911 but had moved to 5 Padwell Road. Thomas senior was working as a Ships Store Foreman, whilst Thomas William was employed as a Shipping Clerk and Walter was engaged as a Ships Steward. Education and Employment: Thomas was born on 4th February 1891 in Liverpool. He went to work as a Clerk for a Shipping Firm after leaving Taunton’s School. Life during the War: Thomas enlisted in London and served with the 14th Battalion of the London Scottish Regiment. The men of this regiment left their trenches near Gommecourt on 1st July 1916 and advanced towards German barbed wire. 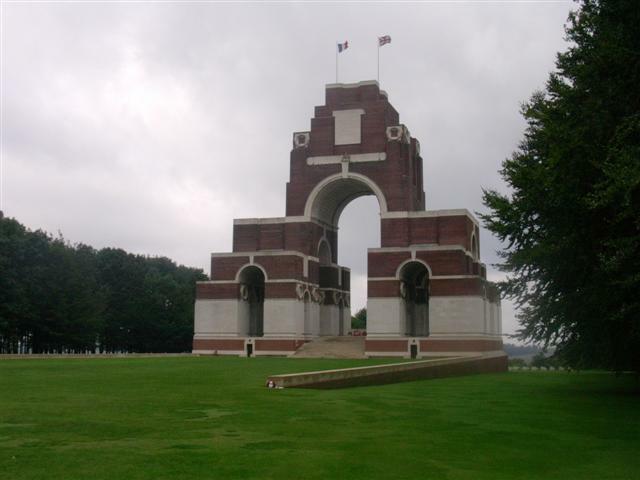 Thomas is one of the missing of the Somme and is remembered on the Thiepval Memorial. For his service to his country, Thomas was entitled to the British War and Victory Medals.